Take a journey into the Northern white-cheeked gibbon's treetop habitat with the Zoo's latest exhibit. Home to duo father and son Jimmy and Yoda, you can watch our pair swing gracefully through a maze of branches and ropes while learning more about this Critically Endangered species. Visitors can explore the new treehouse-style exhibit, where floor to ceiling windows offer a souring view across the gibbons' elevated world. 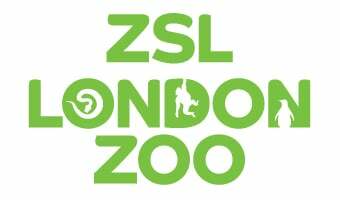 While taking people on a voyage of discovery about the close connection between humans and small apes, the new exhibit will also highlight ZSL's important gibbon conservation work in China, where ZSL scientists are working to safeguard the world's rarest ape, the Hainan gibbon. These singing, swinging apes are some of our closest living relatives. Gibbons are apes like gorillas, chimpanzees, orangutans and humans. We share lots of things in common with gibbons, such as our enjoyment of singing, ability to walk upright and tendency to mate for life. But gibbons are much better adapted to life in the trees than humans. Gibbons have long arms and hooked hands to help them swing through the branches at speeds up to 35 miles per hour (55kph). Their small, light frames also makes it easy for them to climb, swing, and leap through the treetops. Gibbons are expert acrobats and the most agile of all the apes. They use a special form of fast swinging called brachiation. When we humans swing on monkey bars we brachiate too, but not quite as speedy. For gibbons living high up in the trees requires some daring leaps between branches. They are excellent jumpers and some gibbons can leap up to 10m (32feet) without a run up - that’s the length of two cars!